You go to the eye doctor every year to make sure that you can see well. Make sure that you’re just as careful about being seen. 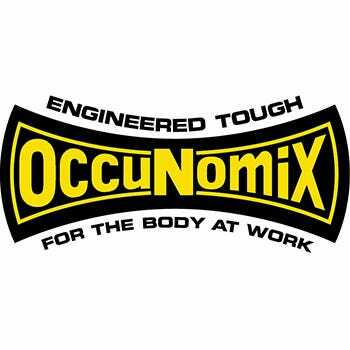 Visibility on the job can mean your safety, so make sure you’re noticed with an Occunomix Men’s LUX SSETP3B YLW High-Visibility Yel ... (see full details) (see specifications) #OCCLUX-SSETP3B-YLW. You go to the eye doctor every year to make sure that you can see well. Make sure that you’re just as careful about being seen. Visibility on the job can mean your safety, so make sure you’re noticed with an Occunomix Men’s LUX SSETP3B YLW High-Visibility Yellow Shirt. This Occunomix shirt is crafted from 100% Wicking Birdseye fabric. This lightweight high-visibility shirt draws moisture away from the body leaving you cool and comfortable. This tee is equipped with a left chest pocket can hold safety glasses or other various items. For daytime visibility, this workwear is manufactured in a bright yellow, because we know it is essential that you be seen. For nighttime visibility, it has 2” reflective tape in a harness pattern, around the middle and arms. If you’re curious about protection and standards, this safety shirt is ANSI/ISEA 107-2015 class 3. In construction, being seen is just as important as being able to see. Don’t let your safety go by the wayside. Get an Occunomix Men’s LUX SSETP3B YLW High-Visibility Yellow Shirt today. Safety is important, so you might as well look good at the same time! You can't go wrong with this class 3 shirt. When it comes to being seen on a work site or on the street, go with this class 3 shirt. This will have you covered while on major highway construction or general job site. Class 3 is good for day and night safety and the high viability green is a plus. I like these shirts, I like the price even more. They are very breathable, comfortable and the Class 3 vis is a bonus. I found that people may want to order one size up if they are concerned about fit, as the shirt will stretch but the reflective stripes will not. I had to exchange a few shirts for crew members to larger shirts due to this issue. The breath-ability of these shirts is top notch, but there was a couple concerns that they may be slightly see through due to the material. Once again, overall a good shirt, just a couple of concerns that I encountered with my crew, but I am pleased overall. I gave this rating in part because out of the four shirts that I bought I can only wear three. The fourth had a problem after the first wash. The reflecting strips are coming off not sure what i'm going to do with it..
Occu-nomix shirts are the best. High quality materials and very durable. The birdseye mesh keeps you cool and dry on the hottest days, while the HI-VIS yellow and reflective stripping keeps you safe day or night!! As a heavy equipment operator for the USFS safety is there number 1 priority and these shirts fit the bill 100%. I highly recommend this product. Occunomix Shirts: Men's Hi Vis Yellow LUX SSETP3B YLW Reflective Shirt is being added to your cart.